Now at the age of 51, Mariel is the mother of two daughters, Dree 25 and Langley 23. For over 20 years, she has been pursuing her passion for yoga and health and is now seen as a voice of holistic and balanced health and well- being. As part of that role she has leads wellness retreats all over America, sharing her insights about movement, silence, nutrition, and home. In 2003, she published her powerful bestselling memoir, Finding My Balance. A truly insightful and inspiring story, of her life’s journey through the eyes of yoga and meditation. Mariel’s second book called “Mariel Hemingway’s Healthy Living from the Inside Out” (Harper Collins San Francisco 2007), is a how-to guide to finding ones balance and health through self-empowering lifestyle techniques and is a huge success for Mariel and especially for those whom incorporate her inspiring advice. Her latest book is a gluten free, sugar free, cookbook called Mariel’s Kicthen. Mariel’s passion is her love of the outdoors…connecting with nature and becoming younger through food breath exercise and nature. She has partnered with Robert Williams, an eco adventurer whose life has been dedicated to adventure, healing and nature in a new book and lifestyle company called The WillingWay. They are traveling all over the country sharing what they know about anti aging, having fun and feeling great. The WillingWay book comes out on March 6. In January 2013, Mariel’s documentary, directed by two-time academy award winner Barbara Kopple, Running From Crazy, premiere at Sundance. Psychotherapist, author, speaker and guided imagery pioneer Belleruth Naparstek is the creator of the popular, 70-title, Health Journeys guided imagery audio series. Her first book, Staying Well with Guided Imagery (Warner) is a widely used primer on imagery and healing. Her second book, Your Sixth Sense (Harper Collins), has been translated into 9 languages, with a new 2009 edition just released. Her latest book on imagery and posttraumatic stress, Invisible Heroes: Survivors of Trauma and How They Heal (Bantam Dell), won the Spirituality & Health Top 50 Books Award and was released in paperback January of 2006. Highlighted in their 20th anniversary edition of their seminal book, Courage to Heal, Ellen Bass and Laura Davis call Invisible Heroes, “the most useful book for trauma survivors to be published in the last decade”. As Prevention Magazine recently noted, Belleruth has been quietly creating an underground revolution among mainstream health and mental health bureaucracies, by persuading major institutions such as the U.S. Veteran’s Administration, The American Red Cross, Aetna U.S. Healthcare, Kaiser Permanente, Blue Shield of California, United Health Care, Oxford Health Plan, GlaxoSmithKline, Ortho Biotech, Roche, Abbott, Amgen, and nearly 2000 hospitals, mental health centers, recovery clinics and vet centers to distribute her guided imagery recordings, in most instances free of charge to recipients. In addition, her audio programs have been involved in over two-dozen clinical trials, with nearly a dozen studies completed to date. Efficacy has been established for several psychological and medical challenges, most recently for PTSD at Duke University Medical Center/Durham Veterans Administration Hospital. Bernie, and his wife and coworker Bobbie, live in a suburb of New Haven, Connecticut. They have five children and eight grandchildren. In 1986 his first book, Love. Medicine & Miracles was published. This event redirected his life. In 1989 Peace, Love & Healing and in 1993 How To Live Between Office Visits followed. He is currently working on other books with the goal of humanizing medical education and medical care, as well as, empowering patients and teaching survival behavior to enhance immune system competency. Bernie’s realization that we all need help dealing with the difficulties of life, not just the physical ones, led to Bernie writing his fourth book in 1998 Prescriptions for Living. It helps people to become aware of the eternal truths and wisdom of the sages through Bernie’s stories and insights rather than wait a personal disaster. He wants to help people fix their lives before they are broken, and thus not have to become strong at the broken places. Published in 2003 are Help Me To Heal to empower patients and their caregivers and 365 Prescriptions For The Soul, in 2004 a children’s book about how difficulties can become blessings, Smudge Bunny, in 2005 101 Exercises For The Soul and out in the Fall of 2006 a prescriptions for parenting book Love, Magic & Mud Pies. Published in 2008 Buddy’s Candle, for children of all ages, related to dealing with the loss of a loved one, be it a pet or parent, and published in 2009 Faith, Hope & Healing with inspiring survivor stories and my reflections about what they teach us. Also out is Words Swords, my poetry and chance to write and react with your own. In the Fall of 2011 A Book of Miracles was published with amazing stories and my comments. In September 2013 my latest book The Art of Healing was published. See his web site for more details at www.BernieSiegelMD.com. 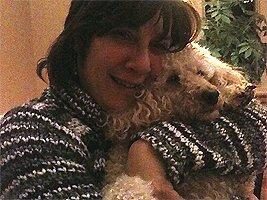 Joanne S. Buzaglo, PhD is a licensed clinical psychologist and behavioral researcher living outside of Philadelphia, PA with her husband Georges, two sons Jonathan and David, and two dogs, Lucy (poodle) and Cody (Labrador retriever). Joanne is currently Vice President of Research & Training at the Cancer Support Community, a non-profit network of community-based organizations (sometimes known as The Wellness Community, Gilda’s Club) that provide professionally-led education and support programs at no cost to cancer patients and their families. 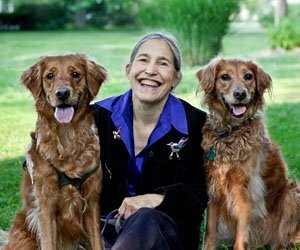 Joanne has long recognized the incredible power of dogs in healing and bringing joy to all those around them. 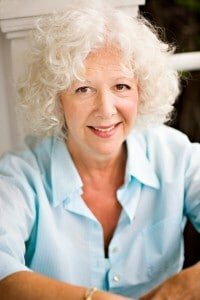 She is thrilled to be on the Board of Healing Companions, Inc.
Jane Miller, works in private practice as a licensed psychotherapist/clinical social worker, with a particular interest in holistic modalities of healing. 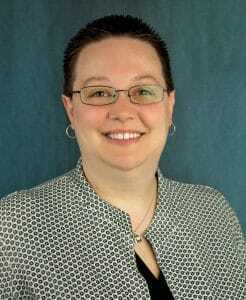 Miller earned her BA in psychology and biology from Oberlin College, and her MSSA in Clinical Social Work from Case Western Reserve University. She has received the Irene Sogg Gross Award for Humanitarian Services and has contributed scholarly essays for professional journals and anthologies in the field of clinical social work. 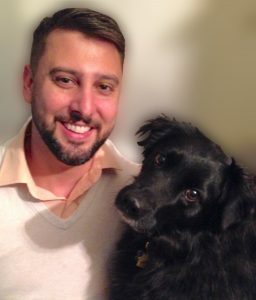 Author of Healing Companions: Ordinary Dogs and Their Extraordinary Power to Transform Lives, Miller currently focuses on educating others about the legal, ethical, and practical criteria of working with Psychiatric Service Dogs (PSDs). In her clinical practice, Miller provides assessments for clients for PSDs, assists them in finding potential PSDs (from shelter/rescue or foster homes), and works with the client through foundational training, public access training and task training. Laura Bretz has had a passionate love for animals since her first word was “Duchess,” the name of her family’s rescued Labrador Retriever. She currently works in social media for Discover Financial Services. Since graduating from Grand Valley State University with bachelors in Journalism and Film, she has handled marketing for everything from nonprofits to Fortune 500 companies. 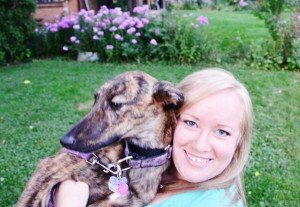 Bretz resides in Chicago, Illinois with her husband, Jim, and Lemmon, the family’s rescued Greyhound/Catahoula mix puppy. Raven Hickson is a graduate of Cornell University, where she studied Animal Science, concentrating in animal behavior. Currently, Raven is the barn manager at Dream On Farm and runs her own animal training business, Clicker Tails. Raven has also been a zookeeper, high school animal science teacher, outdoor educator, and mustang tamer. Raven became involved with Healing Companions after meeting Jane at Dream On Farm and volunteering her clicker training skills at the prison with rescue dogs and their handlers. She is excited to continue supporting Healing Companions through training and local community outreach. Richie Gaiser is a graduate of the University of South Carolina and a lover of all things canine. After adopting his pup Maggie several years ago, he has helped many of his friends train and properly care for their furry friends. With a bachelor’s degree in Marketing and Management, Richie currently works for a local business in Charlotte, North Carolina, promoting and helping spread brand awareness, and has appeared on various morning news programs and websites. Richie can’t wait to help spread word of the great cause that Healing Companions is and those it helps. 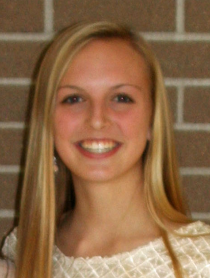 Emma Benner is a student-athlete at Purdue University on the Cross Country and Track and Field teams. She has been very involved in the special needs community as a coach for Special Olympics Minnesota, volunteer with Challenged Athletes Foundation, and a volunteer with River Valley Riders Therapeutic Riding. She has had a lifelong love for dogs as a happy owner of many rescue dogs. Emma has volunteered with various humane societies and has loved helping find shelter dogs a loving and forever home. She cannot wait to help grow and develop the Healing Companions organization. Joseph Guida graduated from McDaniel College and began his career in the nonprofit world in 2009. He’s worked with organizations like the American Red Cross and the Boy Scouts of America to organize fundraising campaigns, plan and promote community events and assist with recruiting and community relations. 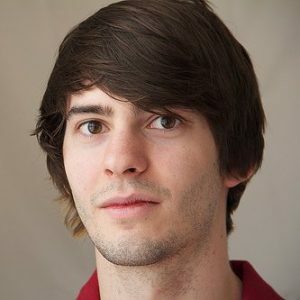 After 6 years as a nonprofit professional he began working fulltime as a web copywriter. Joseph joined the Healing Companions Board of Directors in 2016 to serve as Board Secretary and Chairman of Marketing and Social Media. He is thrilled to be serving with Healing Companions and looks forward to helping them share their message and mission with the world. Jennifer McArdle is a graduate from the University of Michigan-Dearborn with a Bachelor of Business Administration degree in Management. She has a soft spot in her heart for dogs and mental health, which is what drew her to Healing Companions. Since graduating, she has applied the skills she learned in Marketing and Project Management to help non-profit organizations. As a Social Media Marketing Specialist, she is excited to spread the message of Healing Companions through digital and social media. Jennifer lives in Michigan with her rescue dog Charlie and her cat Leia. 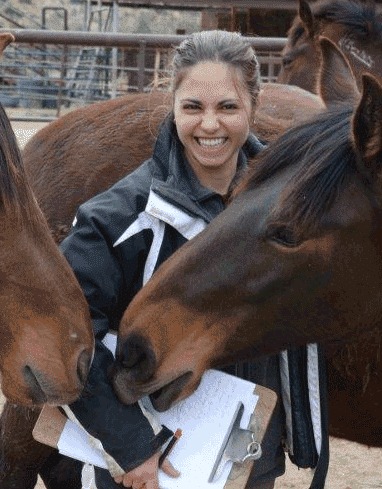 Laurissa Doonan has been an animal lover and advocate all her life. As the owner of Charter Marketing, a company serving entrepreneurs and small businesses, she provides guidance, consulting, planning and solutions to help them grow their business through marketing, without diminishing their own passions. She has worked in marketing professionally for over 25 years, in agencies and on the client side, in industries ranging from pharmaceutical to home building products to pet supplies and services. Laurissa previously served on the Board of the Philadelphia Chapter of the American Marketing Association and has also been involved with the American Belgian Malinois Rescue for over ten years. 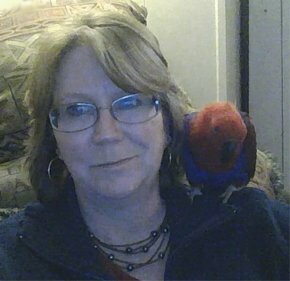 Laurissa lives in Downingtown, Pennsylvania with her husband Joe, son James, and Gryphon, a German Wirehaired Pointer, Duke, a Belgian Malinois, Lucy a Blue and Gold Macaw, and Jennifer, an Eclectus Parrot. Tong Gu is a MBA student in Weatherhead School of Management at Case Western Reserve University. She graduated from Beijing University of Posts and Telecommunications with a bachelor degree in Economics. During college, she actively organized and participated in volunteering activity helping the disabled to develop living skills and improve living conditions. After winning prizes in several national and global business competitions, she dedicated herself as a business director assistant to finance projects such as IPO in both investment and commercial banks. She is also a registered donor in China Marrow Donor Program. 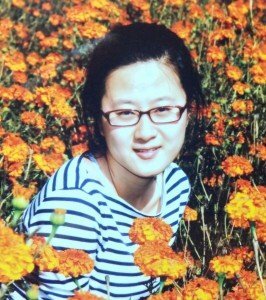 Tong is so excited to exploit her skills in helping Healing Companions, Inc. to better fulfill its mission. provided me with further insight into organizational operations”. that enhances awareness of our mindset in and out of the work environment. movies with his two children. Doug Wolf is Manager of Community Engagement at Nationwide Children’s Hospital in Columbus, Ohio. In this role he cultivates strategic partnerships to create opportunity rich neighborhoods and remove barriers to the health and well-being of the most vulnerable populations. 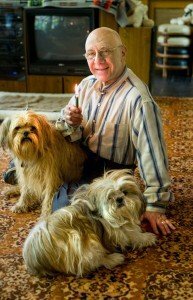 Doug takes great pride in supporting Healing Companions in its efforts to empower marginalized individuals and rescue dogs to improve the well-being of themselves and others. He earned a Bachelor of Science in Athletic Training and Sports Management/Wellness from Wilmington College, a Master of Science in Allied Health/Health Promotion from the University of Connecticut, and a Master of Business Administration/Healthcare Administration from Tiffin University. 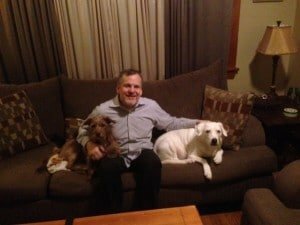 Doug resides in Bexley, Ohio with his wife Jan, sons Cooper and Luca, and rescue dog Cubby. Doreen has been an animal-lover since childhood and is passionate about saving rescue/shelter dogs. She has a Master’s degree in Counseling from John Carroll University and a PhD in Clinical Psychology from Union Institute & University. Doreen has been a therapist in private practice since 1993, and is currently a Health Sciences Researcher at the Cleveland VA Medical Center. Although she has had many years of formal education, she credits the dogs in her life for teaching her the most valuable lessons. Doreen strongly believes that animals are not only therapeutic but also wonderful role models for us on how to live a happy and meaningful life. Doreen is overjoyed to be involved in Healing Companions and sees the HC mission as being perfectly aligned with what she considers to be her purpose in life. She is honored to be a part of such important work. 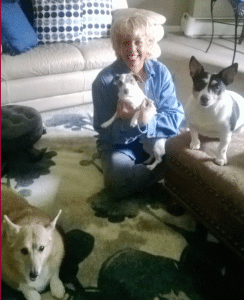 Doreen resides in Mayfield Village with three silly, happy rescues—Bella, Peter Dante, and Benjamin. John was appointed the Director of the Foundation Center Cleveland in June of 2014. Previously he served as the Executive Director of HomeAid Los Angeles/Ventura in Westlake, California, where he oversaw the funding and management of capital projects to build and renovate shelters for the transitionally homeless. He has also served as the Executive Director of the Los Angeles County Public Library Foundation where he led the creation of a system-wide network of library-based homework and literacy centers. 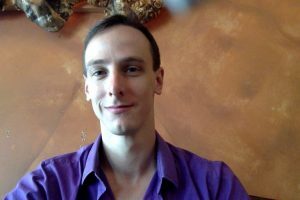 Additionally, he has been an Assistant Scholar at the University of Florida, Administrative Team Leader at Spring Garden Waldorf School and Director of Development at Linking Employment, Abilities and Potential (LEAP) Cleveland. 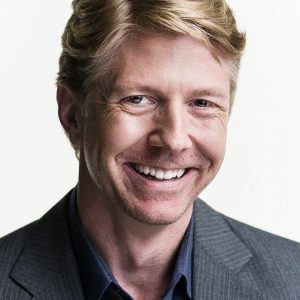 John earned his Ph.D. in Education from the University of Southern California, a Masters in Political Science from American University and a Bachelors in Political Science at the Ohio State University. Cooper Hawley works for a National Political Committee in Washington, DC. 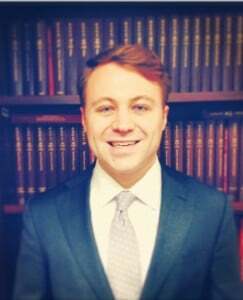 Mr. Hawley is a graduate of both Cornell University and Wake Forest University School of Law, and is a member of the New York Bar Association. Having experience with both politics and fundraising, Mr. Hawley hopes to help Healing Companions, Inc. broaden its impact by forming strategic partnerships and finding new sources of revenue. *It is the policy of Healing Companions, Inc. to provide equal opportunity to all applicants for board membership. Decisions concerning invitations to join the Board of Directors are all made upon the basis of the best qualified candidate without regard to race, creed, color, national origin, age, religion, veteran status, disability, gender, sexual orientation, or marital status.